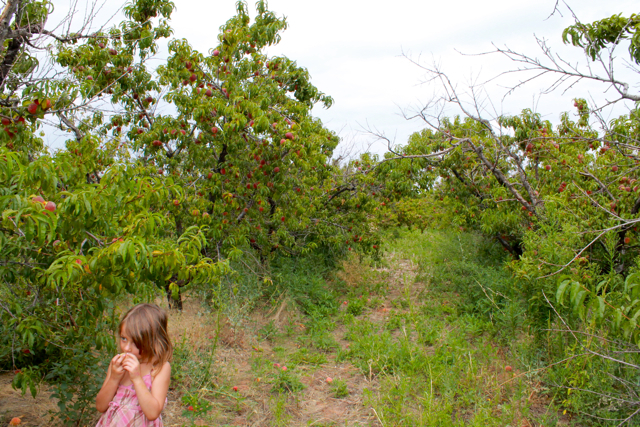 Lets just say there’s this place where you can pick all the peaches you can lug home for free (includes 4-hour round trip drive, biting ants, leg-scratchy thistles and the possibility that your child may need to poop in a bag because there are no bathrooms). * And lets say that under the influence of sunny orbs of dangling fruit, you might have picked about 300 pounds. This is not a problem exactly, but more of a call to arms: to gather peach preservation recipes; to stand in front of your stove for hours, dicing and slicing like you should be reciting lines about Ginsu knives; to give yourself a pass for handing your children a bag of chips for dinner while you wipe sweat from your brow and discover it’s in fact peach juice. Ninja-mama Kati, carrying 80 pounds in peaches and boy, and who may also have had a bag-pooping child at some point in the day. 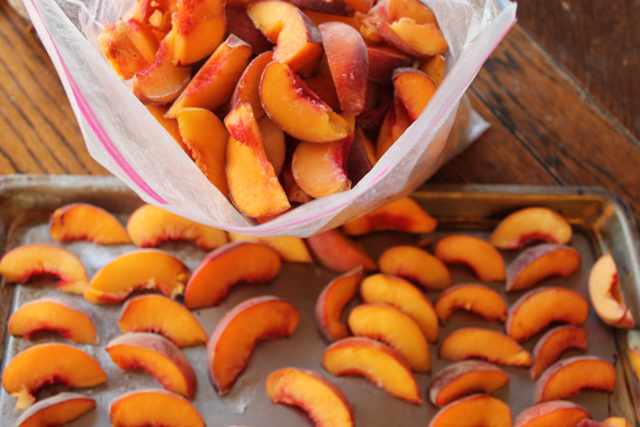 Tip on freezing peaches: slice and freeze on cookie sheets, where they freeze individually instead of all clumping up tossed wet in a bag. Once frozen, slide into bag for easy future shake out. We’ve done the usual freezing, drying (then doh! 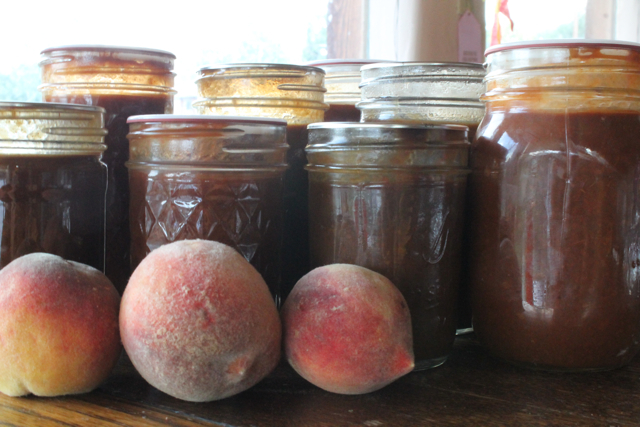 left the drying racks full of peaches outside in a rainstorm), peach sauce, peach-vanilla jam, and this year: peach BBQ sauce, which is adapted from this recipe (thanks, Jennifer), but a little funkified with less sugar, more spice. This sauce appears to be not too spicy for kids. The kids have already devoured it on goat and then elk. In fact, one night after Ginsu-ing all day in the kitchen, I served goat (Thanks, Jojo and Emily!) in peach BBQ sauce and nothing else for dinner (which was a step up from the bag of chips the previous night). I like to marinate the meat in the sauce for 1-2 days (with added olive oil) and then bake the entire hunk’o’meat (with remaining sauce) in the oven. It’s smoky and rich and sweet but not too sweet. Simmer everything down together for a long time, between 1 – 3 hours, with the lid off. 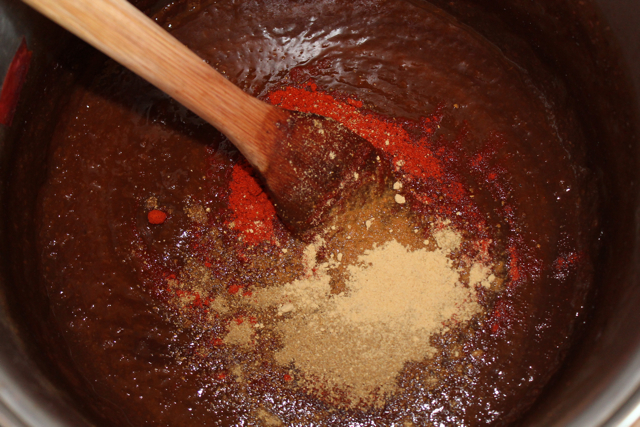 The longer you simmer, the more concentrated and flavorful the sauce becomes. Stir frequently. Blend with your favorite blending tool (this is how I fell in love with an immersion blender). Can in water-bath canner, 20 minutes for pints, unless you live at 6512 feet, then 35 minutes. Adding ginger, cumin, coriander, paprika and cayenne! Peach barbecue sauce waiting to be paired with an elk (bow-hunting season starts next week). No pressure, honey, roadkill is ok too. 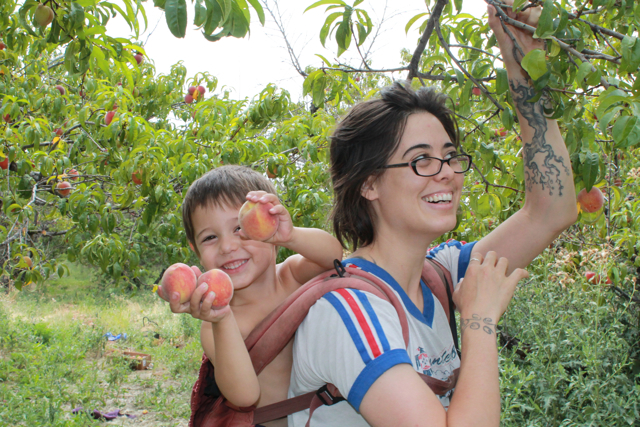 What do you like to do with peaches, dear ones? * Sorry, directions can not be divulged but please come over for a peach. Kiva? I’ve gone there in years past but last year they had no fruit. Hmm may have to go this year. I like to can some peaches and when whip out a peach cobbler on Valentines Day for my sweeties! Love that you can talk poop and peaches all in a single post! Ha! I adore your posts and wild and wooly life :) That sauce sounds delish! Ko, I was going to say the same thing! Hilarious post. And I’m drooling over all the peaches. An early spring frost got all our peaches. Oh, to use those luscious peaches to make pies… oh, be still my taste buds! It’s been way too long and they were Texas peaches from the neighbor’s trees. Oh, wait, I forgot we picked up peaches at the nearest Michigan apple cider mill a year or two ago. No doubt the Colorado peaches would be better, or were they from New Mexico? Your recipe sounds magnificent. And the freezing method is really smart. Thanks! yay peaches! yay adventure! yay bag…pooping… – ? (i have to say, the children (and the mamas!) handled that with much aplomb.) we have big plans for bbq sauce, jam, syrup and future crisps. also, smoothies and freshie snax. the child and i are going to juice a quart or two’s worth to make lacto-fermented “soda pop” because, lo – all juice in the grocery store world is ultra-pasteurized. also – it’s ok to leave the bbq sauce chunky, right? it won’t affect the canning? i am immersion blender-less and the idea of trying to do teensy batch by teensy batch in my wee little food processor gives me head pains. MWAH. Shady dreadless, Chunks are a’ok! And love the lacto-fermented juice idea! just felt like saying that I think you are ace and your writing always makes me smile. I’m trying to convert pounds into kilos to figure out just how much peach you have to deal with. “Don’t bother peeling…” Oh, bring it! 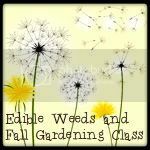 Looking forward to making a small batch for a dinner party this week. I wish I had a pick-all-you-can-use-for-free peach place, even if it involved pooping in a bag. I seem to collect tons of things I want to do with peaches and they’re expensive (and we haven’t figured out how to foil the squirrels from getting our home grown peaches). 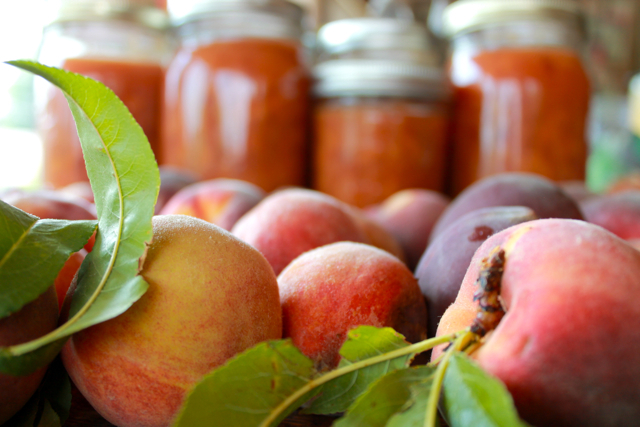 Our two must-do peach things are tomato-peach salsa and peach ginger jam. 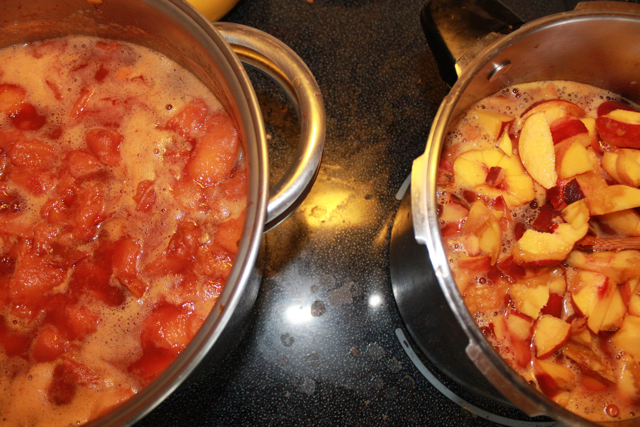 I like to get some peaches in the freezer and make a batch of plain peach jam. This year I tried peach blueberry jam too. The not frozen/canned peaches went into oatmeal and into peach-blueberry crisp, and my kids ate a couple dozen over the course of a few days. Hoping our name comes up for more utility peaches. If it does, peach bbq sauce might have to be on our list. You can also make fruit wine out of peaches. It’s lovely. Suggest 3-4 lbs peaches, 2 1/4 cups sugar (I’m not a fan of the overly sweet fruit wines people do in an effort to boost the alcohol. They end up tasting like cough syrup). Terry Garey’s “The Joy of Home Winemaking” is a good book to start with for fruit wines. Needs a good editing (some stuff left out of certain recipes – but if you read the basics you’ll notice when something gets missed), but it deals with fruit wines almost exclusively. And if you are a beer brewer, you already have most of the stuff you need. Love me some peaches. My favorite fruit! I have some raw peach chunks stashed in the freezer for peach mead! Last night I canned and froze 75 pounds of peaches and fed my kids take-out pizza…oh the irony. Peach butter in a crock pot – it’s just that easy. Pickled peaches. 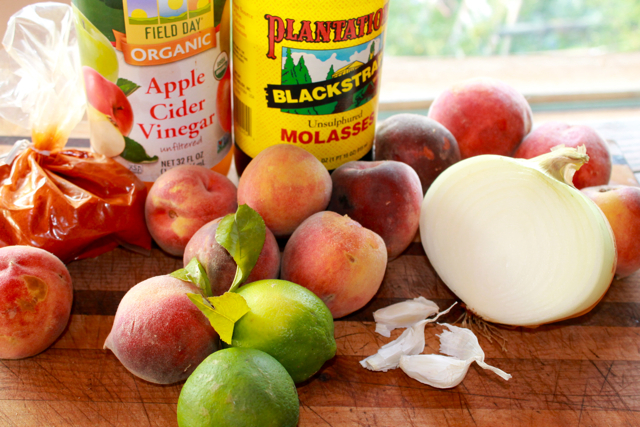 Have you heard about peach honey where you cook the skins left after making things like pickled peaches and peach butter and peach bbq sauce? Oh my, I am making this over the weekend! Thank you for sharing. Thanks for this awesome idea, just when I was out of ideas for my 300ish lbs of peaches that are getting moldy. Can I just freeze the sauce if I don’t can it? Also, I freeze them whole then when ready to use, run under hot water and the skins come right off. Slice up and use for cobbler or pie or whatever. Yes you can freeze. What’s the deal with skins? Why do people peel peaches? The fuzzy texture of the skins gives me that same feeling as fingernails on a chalkboard. Yuck! I’ve been thinking about going to find some peaches to process this weekend. I’ll have to try this sauce, it looks lovely! how fun would that be? 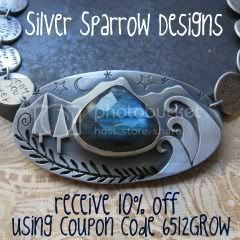 like the Anasazi trading routes through the southwest! Whaaaat? You been keeping your immersion blender out of service with all the smoothies you guys make? Here’s the thing that makes all the difference when you have no dishwasher and 2 kids who eat every 2 hours: one less thing to clean. Lets eat some goat and peaches together soon! I froze a bushel of peaches this week–some sliced, some sliced in crisp-sized quantities, and a big bag to make the peach-raspberry jam recipe that America’s Test Kitchen posted in early July. 10 cups fruit to one cup sugar is a ratio I like the sound of. But I haven’t made it yet. I would post the recipe but I’ve tried and the link doesn’t work. You have to have a (free) account to actually see it. 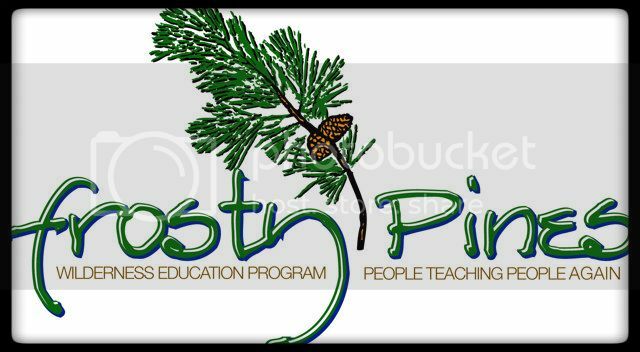 I can’t *believe* those wild peach trees! 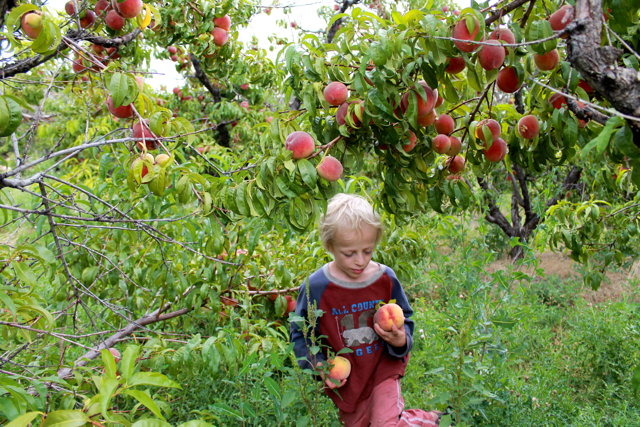 They don’t grow up here but thank goodness by Uncle is one of only 2 growers of greenhouse-peaches in the country! I can only imagine the beauty of these trees, it is stunning walking into his greenhouse full of full grown peach trees! You know you can go ahead and send some of those peaches my way. The selection at the grocers around here has been total crap all summer.